We didn’t see it coming. At all. But then it’s probably fair to say that producers didn’t either. Following his victorious return as the wildcard-winning ‘Hero’ in week 1, Christopher Maloney has now survived five weeks of vindictive tabloid stories (here’s today’s), judges’ disdain and generally unhelpful productions without dropping into the bottom two. When the Daily Star revealed that he had easily topped the first two weeks’ votes, we were initially sceptical despite the tabloid’s good record with voting leaks. Now that he’s shaken off all that’s been thrown at him since, it seems far more likely. The same paper claimed yesterday that he is still winning every week’s phone vote, whilst Plan A Ella is barely avoiding the bottom two. Which leads us to ask, can this second claim be true, and what are the implications either way? The evidence presented to us could be read either way. Let’s take the constant attacks in the tabloids, unprecedented now in terms of their length and frequency in the shows’s history. These may suggest that the Star is correct. Why bother going to such lengths to slur a contestant if the powers that be aren’t a little scared? Even those champions against bullying, Little Mix, got involved at the weekend. But on the other hand, these stories could just be a way of building him up to be a pantomime villain of the piece. It’s something the show does every year. Just look at Katie Waissel. With the other divisive figure of the live shows, Rylan Clark, apparently proving popular in his general backstage conduct, who else could they target? And with ratings falling to lows not seen since the first ever series in 2004, how else to best keep the show in the headlines? Maloney’s treatment in the shows themselves can also be seen in two different ways. In certain live shows, producers looked like they were running scared and going all-out to sink him. Week 2’s cruiseship bar backdrop, week 3’s ‘Seaside Special’ shiny suit moment and week 6’s skittles routine included many of the tactics we have come to expect from producers looking to dampen a vote. Distracting dancers were a feature of all three, for example. There was something about weeks 4 and 5 which felt different, however. They gave Chris a demo-pleasing look featuring a wintry pea coat (not cruiseship cheap but naval chic), and they gave him songs and a production that allowed his vocals to shine. In particular, his pimp slot performance of ‘All By Myself’ gave us a big note that was always going to delight his supporters and neutrals. Perhaps these two weeks showed incompetence on the part of producers, who thought that lyrically they were burying him with titles such as ‘I Just Died (In Your Arms Tonight)’, but the effect wasn’t as intended. It wouldn’t be the first time. They must surely regret giving him the winner’s walk towards the audience in his week 1 rendition of ‘Hero’ instead of forcing him to stand in isolation on a very high plinth. But I can’t help but feel that the show was going with the idea of Chris having a longer run in the competition than previously envisaged. He may have still been topping the votes, of course. But whether he was or not, producers seemed more at ease with the idea that they could bring him down – eventually. The heavenly pimping of Jahmene, the one act who arguably appeals to a similar demographic, from this period onwards (week 4 was the first time he was referred to as a ‘recording artist’ after that highly effective week 3 VT) makes sense as part of this long game, as Jake Kl pointed out this weekend. So, we can’t know for sure and the evidence gives us mixed signals. No wonder our commenters are divided and wary. However, there was more unanimity that this latest live show saw a return to a more attacking mode on Chris. JScouser pointed out how damaging the VT was, going to great lengths to show us that his natural singing ability, previously seen as a strength, wasn’t that great. As KaraokeSauron explained, all the dancing going on around him made him look very uncomfortable. But even then, we can hardly call this a full-frontal assault as there are some things they could have done but haven’t. As Alen and other commenters have noted, an obvious way to dampen Chris’s support would be to give him a modern song. ‘I’m Still Standing’ played right into the mid-1980s vibe that delights what we assume is Chris’s target demographic. Has it just not occurred to producers to give him a bit of Flo Rida? They haven’t had his mentor say to him “we’re going to the final”, which helped dispatch Wagner and Johnny Robinson. But then, that was Louis – would Gary not play ball? And they haven’t tried the tactic of suggesting that he has achieved what he came for and his journey is complete, which worked with Johnny (who VTed about feeling popular for the first time in his life) and Mary Byrne (whose fans were reassured that she wasn’t ever going back to those Tesco tills). Would it be too hard to get Chris to say things like “I was so nervous at my first audition” and “singing on the X Factor has helped me believe in myself”? These are, of course, all tactics which we may see producers reach for in the next week or two. This leads me to my last point about just how far Chris can go in this competition. A continual lead in the polls up to Week 5, even if true, may still not get him to the final. Last year Janet Devlin won the first four weeks of public votes, but after a similar if slightly more subtle drip-drip of negative treatment was dispatched before the semi-final. She didn’t help herself by forgetting her words (and props to Maccafan for spotting Maloney’s mistakes this week). But they got her in the end. Admittedly, if the Daily Star’s first leak is true, Maloney was leading the early shows by a greater distance but there’s an analogy here too. Eoghan Quigg was as far ahead at certain points in 2008, even in Week 7. He could eventually manage only third, and if producers had been desperate not to have him in the final, they could have managed it with a singoff in the semi-final – an option still open to them this year, as Boki has already noted. This would repeat the precedent of 2010 when a surprise semi-final singoff enabled Cher Lloyd to get into the final instead of Mary Byrne, that other trooper in the Overs category who producers didn’t want hanging around for the climactic weekend. There was no singoff in last year’s semi-final, and I’m not discounting Maloney making it all the way to the final, especially if this is repeated. Do expect plenty more of the kind of talk that we first heard last week about who ‘deserves’ a place in the final, however. And even if he does get there I can predict part of the script now: “You’re a nice guy Chris, despite what some people have been saying, and you’ve now got a great future ahead of you. But in Ella/Jahmene/James we have an international recording artist who can represent this country on the world stage.” It’s worth remembering that, even if the Star is correct, Chris will have been polling at around 30-40% – enough to storm the early weeks, but nowhere near enough to win unless he can pick up floating votes among fans of departed acts and the significant (we assume) numbers of viewers who vote only in the final. So they haven’t got him yet, but they will in the end. Won’t they?! Let us know your thoughts on the Christopher Maloney phenomenon below. There were 5 acts in the semi (week 9) in 2010 unlike last and this year. So it would be the 1st time if a sing-off is introduced with 4 acts left. Do we feel there was anything behind the drop in Chrissy boy’s odds on Sunday? Perhaps it was a close run thing? I think in the value stakes 7/2 Chris is more appealing than 1/1 Rylan at this stage. 7/2 for four acts to poll higher as surely if B2 he will go. The booing was more pronounced last night when he was announced safe so perhaps his ship is coming in. This morning ‘Any other combination’ was priced at 6/1 (which I snapped up) – it is now 5/2 (*actually the market has just vanished). Union J bounce plus potential vote transfer – Christopher supposedly doing well in the vote – I thought 6/1 was a mistake! Feeling good about that one – did anybody else invest while it lasted? Ah yes, Eoghan, memorably and accurately described by Charlie Brooker as looking like “a cross between the Test Card clown and a crayon portrait of Jamie Oliver”. I was thinking about the Eoghan precedent today – it could definitely also apply to Chris, in that it’s the “nan” vote seeing him through. Regarding song choices, I’m strongly of the opinion that Gary knows what he’s doing and won’t play ball with any attempt to give him an unsuitable song. However, that doesn’t mean he can’t be got – I’m sure Tulisa thought Freak Like Me was suitable for Jade. But his vocal ability and the level of viewer sympathy he has is what makes him harder to knock down. In fact, Barlow has been ministerial in deflecting criticism of his last remaining act. (And who could have predicted that?) ‘Fag-ash gate’ being the obvious example. Right now, I think it’s Producers and the Big Three vs. Maloney. If the leaks are correct, perhaps the switch from Plan A to Plan C/D (JD) is because TPTB have thrown their weight behind Maloney’s nearest challenger. If that’s the case, we could have an interesting situation arising whereby – in the lack of uniform pimping from all the panel, including Barlow – the same split vote which did for District3 could come into play here. This isn’t unprecedented (is it, Sofabet authors?) Is it not the case that, in the last days of Wagner, even mentor Louis Walsh was a prominent and virulent critic? But will the departing Barlow perform that same function? If (say) Tulisa continues to aggressively pimp for Ella – and she started banging the table last week, a very pleasing sign for me – and Barlow continues to fight for Chris then producers’ efforts to throw all their weight behind JD could indeed be thwarted. Will they succeed in pushing JD over the finishing line just ahead of Maloney? 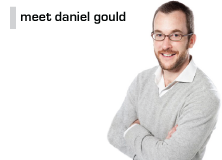 (And, like you, Mr Gould, I did not ever think I would be asking myself this question.) Yes, very probably… because life is like that. Do it, Maloney… For me, Eddy String, and your nan. For Liverpool, thwarted dreams, and the Silent Majority. For every provincial town we jog round. Chris Maloney… I salute you. If you are convinced that Ella won’t win anymore why don’t you get out of it while you can with zero loss? Just cover JD while above evens (and Chris if you like, it’s cheap) and you are done. Great post, o dark lord – am in general agreement. It’s worth noting generally though that at this stage in last year’s series, Little Mix had never topped the vote and Janet had only once not topped it. I see Chris as harder to shake than Janet, and Ella harder to push than LM. But it’s still open. This is unscientific but I’m interested in a vote polarisation effect – ie. that Maloney’s success goes hand in hand with the fact that Gary’s other 3 acts were all bottom 2 within the first 3 weeks, with 2 of them going. Two sides to the same sword? Did he soak up all the “Overs” vote at the expense of the overshadowed others? I have to think of this year’s ESC, won by Sweden with the second-highest score ever – with fellow Scandinavian countries Iceland, Denmark and Norway languishing at the very bottom of the results table. You really think Gary and Louis pick the songs they sing? They don’t. I had Shakey at 65 and laid him off at 19 on Friday night. I’m happy as it covers my losses on Jade and the eliminations and I end up with a tiny profit. Personally I can’t see him lasting much longer and he’s a goner if he hits bottom two. Unless there’s a shock entry from the “big three” or Union J don’t bounce, I suspect that he’ll be in there next Sunday with Rylan. Viewers are down a lot but I think votes will be proportionately down more due to voter cynicism. Many more votes in the final but still down a lot I predict. That means it’s less predictable. Chris will have a massive Liverpool vote and a massive vote from people who like to hear unadulterated classics, which they are not getting from Ella or Jahmene. So I don’t think he could just reach the final, I think he has to be considered a contender to win it (although I’d still put him behind Ella and Jahmene atm). And he’s just so nice. Here and on Digital Spy etc we may be a bit skeptical about his “nerves” and his innocence. But the viewers won’t be. They will just see a really nice guy who is the easiest of all of them to warm to. Couldn’t agree more with your last two paragraphs – this is why he’s doing well. ….and even if he is putting on a bit of an act he’s still a really nice guy. Friendly and vulnerable and working hard. Kelly had 3 of the final 5 acts last year. They’re desperate to get Chris out at any opportunity. If that means Rylan sticks around longer, so be it. He’s easier to get rid of. As a wise man once said “follow the money”. Facts: X Factor UK as a business make their money mostly out of the tv show. Ads, product placement, votes. These rely on viewing figures. X Factor UK has made serious money on only two acts in its history, Leonna Lewis and One Direction. Maybe JLS too. They’ve made no significant money on last year’s acts. The singles market doesn’t make money. Maybe Little Mix will coin it in for them but I don’t think so. Viewing figures are are significantly down this year, which affects the money made. Away from the facts: I doubt many people are tuning in for the next stella performance from Ella, James, Union J or Jahmene. But some will be seeing how far Rylan and Chris can go (love them or hate them). For this reason they’ll go further, maybe one of them all the way to the final because can Chris beat Ella has a better storyline to it than can James bea Jamene. Better stories = more viewers = a less disastrous series. In fact if I was producing I’d be happy with either Rylan or Chris coming runner up (winning and releasing a sh!t single wouldn’t do) so next year I can run a narrative around “it’s the year we need to unearth a major talent”. From where I am none of the chosen top three are going to generae significant sums of money for their music or audience driving. Chris and Rylan will generate that. @Stoney. A sing off between Rylan & Chris? Well obviously Gary would go with Chris and Nichole with Rylan. That leaves Tulisa and Louis both who have favoured Rylan over Chris. It would be no contest and maybe enough to make Gary walk. Mick, don’t forget and discount the choosing of words by Louis when it was Rylan v Kye, “I’m going to do the Right Thing, and vote to save kye” don’t think it’s not possible to have this sent to deadlock. Disagree. If Chris is ever B2, he’s gone – no chance of deadlock. All 3 of the other judges have been vocally very disparaging of him week in, week out. Plus the show wants him out – they don’t want to take any chances with him. And Chris would obviously win the deadlock, although that would make him bounce to the finals and probably win, if he escapes. Which goes back to the point that they might actually not save him. Then again, we’re looking too far ahead. The only possible singoffs i can see this week are Rylan/Ella or Rylan/James. The producers could still try the “incredible shriking hometown” tactic they used on Craig. Other than that this week could be Rylan’s last, I’m sure by this stage they will try to nobble him. It’s true that week on week there are negative stories about Chris in the press, but week on week the show produces a VT of Chris where he says looking upset that none of the stories are true, this must be making his supporters feel sorry for him and getting behind him in the votes. They then give him a good song that suits his voice to sing which again makes his supportors feel he’s being unfairly picked on, so they vote for him. If the show was leaking these stories to make him look bad to get rid of him, they wouldn’t also make a VT of him looking like the victim of unfair untrue comments, they would simply have a VT that continued with the attack not one that can gain him sympathy by showing his sad face. My opinion is its all part of the pantomime. People at my work can not believe Rylan was not in the bottom two, but the effort the show went to, getting Geri to mentor, recreating the queen/bond Oylmpic parachute jump, the Union Jack staging, there was no way the show was trying to get rid of him. Likewise until we see a bad VT of Chris and they give him a song that he can’t sing well, the show will be happy for him to continue if the public vote. The show needs money from the voting lines, to get the most money it makes sence to have the broadest range if people voting for the broadest range of contestants, that in my opinion is Chris’s point in the show right now. I agree with that. The mentors work from a pre-cleared list of songs that producers think (quite badly) match the theme. It’s not like they can choose any song in the world (they actually can but there are risks, like not actually getting clearance in time for the performance, causing last minute song change, which is known to have happened before). Borelow is a lot more musically knowledgeable than Louis with his 90s boyband schtik, who in turn is much better at making something out of nothing (think Jedward and Wagner). The initial miscast of no panto villain caused Shakey’s creation. Rylan is so universally liked backstage it was impossible to throw that onto him. Chris, it’s been stated by both MK1 and Kye, has a peculiar behaviour they do not classify as “diva”, but he does get stroppy about silly things, like not having his meals at the right time and not having water immediately available (not my words – MK1 Charlie’s). And as Kye finished his exit interview on the X-tra factor: “Rylan is a wonderful person and I really like him. I shared a room with Chris for a long time and Chris is Chris.” Understand that as you wish. I think he’s been a little spoiled by his grandma and that’s all. But for producers to turn that into “he’s a real diva” is extremely easy, in the same way Tulisa’s “you might not realise, but your behaviour comes off a little mean to other contestants” to Misha B became “she’s a bully” (with a massive help from Louis, that is). Over the top pigeonholing is better for the tabloids. Well, Jedward are quita a scary something. They have reportedly made a lot of money for them and for Louis. And who would have thought Wagner would finish 6th? Does anyone feel the reduction in Christopher’s odds on Sunday may reflect that it was a close run thing. The producers are sticking with the same tactics this week so this could mean they are encouraged that they are gradually getting there with him. If the tactics of discrediting him were showing no return at all perhaps they would have tried something different by now. I am chancing the 7/2, i agree that Rylan at 7/4 was a fine bet but not at odds on and if B2 with Chris Rylan is absolutely safe in my opinion. Nope. The market moves on the Sunday, would take about £200 for the market to start moving, which isn’t much. An unsuccessful gamble is not necessarily an uniformed one surely? A failed market move could have been out by 1 percent. If Christopher is really topping the votes I’m sure they are gleadly keeping them in. Cause that means he is bringing the money as of now. Problem will be the after-career. I don’t think he could sell anything so obviously they need to get rid off him at some point. As things stand now I can see them keeping him for the next two weeks, so he leaves as the 4th and just missing out the final. Could they be more obvious about trying to get him out? That would read massively in his favour do you agree? Is there any view on the reason for the commercial break in the larger scheme of things? Was it Maloney related in some way? Mind games just to make him suffer possibly. is it unprecedented? Contrary to Dermot’s weekly “no particular order” statement, there has to be a purpose behind calling an act safe, last. My understanding is that it sends a message to the voting public that the last act called safe is actually not safe at all and even though you have spent a few quid voting for them this weekend, they are still struggling and your hard earned cash would be better spent backing one of the stronger acts (like some of those who are called as safe 1st). This has certainly been effective with last calls for Kye, Jade and District 3 who all ended up in the bottom 2 the following week. But Christopher has been called last a whopping 3 times, 1 out of every 2 shows so far – and still no bottom 2 appearance! The only way he’s managing this is because, as I believe, the vote leak stories are accurate and Christopher cannot be slain by a thousand cuts like Devlin. He’s like Syndrome’s omidroid robot in The Incredibles – he improves his own defences by learning from each enemy attack. But back to this, what can these order of announcements tell us? Actually only one thing so far is certain – if Christopher’s name is in the mix (weeks 1,4 and 6 above) then neither he or the other name will feature B2 the following week. Good week 7 prospects for James and once again for Chris. Based on that I see 2 from Rylan/Union J/Ella featuring in this Sunday’s sing off, likely to end up being Rylan vs Ella. A fair result – Nicole loses a boy and Ella bounces into the final, which is probably the only method by which she can get there. Stoney, acts who were saved in week 7 over the last few seasons: Amelia Lily (bounced to the final), Cher Lloyd (bounced only to the semi-final), Olly Murs (bounced to the final), JLS (bounced to the final). While clearly no guarantee of anything, the precedents suggest there’s a pretty good chance. fair point, but them bounces are aided by huge producer support, christopher wouldnt get that if he survived this weeks sing off, yet some people are claiming he could not only make the final but win it following a bottom 2 appearance!!! Depends who the act in the bottom2 is. Some1 like Ella/Chris/Jahmene WOULD bounce to the finals seeing as their support is big and they’ve never been in the bottom2 (just look at JLS or Olly) whereas some1 like UnionJ would probably bounce only to the semi finals (like Cher) and if Rylan is saved, i doubt he’d bounce again at all. All personal tastes, other obvious raw talents and flukes (eg. the Maloney lyric cockerupper) aside, it may be worth objectively examining this possibility after last years left field surprise with Little Mix, as already there are increasing subtle agreeable signs and hints from Judges (like Gary suggesting that ‘we are witnessing the next big thing’). The song ‘Fix You’ (‘fix’ could mean two things here too with the way XF can steer things, lol), but I think it is rather with reference to them finding their direction at last after a few ongoing repairs (as Tulisa indicated). Louis is obviously missing Westlife now and there is still a very big market for a ‘wide appeal’ replacement for them with a slushy ballad boyband (and as a Yin and Yang, Beatles to Stones compliment to One Direction if the two pegs will not fit into one hole). He also knows that market very well and is the perfect guy for the job here with them. In that particular task, Cowell will have supreme confidence in him. UJ were almost dressed exactly like them too this week, so is it Louis’ turn to win with a band before the XF brand is finished next year? Then there is Nichole who is also strongly voicing up for them, even against here own acts here. Also, both James AND UJ did Adele songs just to suppress Ella’s (‘the new Adele’) title a bit more too. (Are they lining her up for a fall, considering the reports of low votes and smothering her in an Umbrella of Umbrellas last weekend?). I’ve got that certain feeling in my water again about UJ, just I did last year with LM. As ever, I’m still sensible when betting too and I am therefore not putting my house on them (or anyone else for that matter) but I have turned round my small weekly winnings to put them to win at early prices of around 20/1 (so for around £20 original stakes I now stand to win about £1,100 at this point if I am lucky). So, not much lost if they don’t take the crown. In our keenness to see Rylan or Baloney go we should have seen the boyband bun fight coming last weekend, with 1D and LM guesting too all in one ‘feature weekend’. It’s out of the way now though and UJ are ready to move up another gear to continue their (so far) subtle climb. They will no doubt nab a load of D3 votes too as their teen fanbase rapidly expands like the attraction of a Shark feeding frenzy. D3 are now last weeks news and kids love to follow each other and latch on the the next ‘in thing’ fashion like bleating sheep and as the type of fan that they will get, they will also be voting in multiple votes for their dream boys. Cowell knows this too. As a note here, last week I mentioned that the week5 UJ vid was missing from XF’s YouTube channel (and explained as a copyright issue by EuroV) and now it is there, AND with a nice late healthy catch-up of 163,00 views. The thing is Stoney, all the rules and historic comparisons are being broken now (especially this year). Maloney (and Rylan) getting this far has foxed everyone on here too. If betting was that certain they would be gone by now and we would all be richer. Think about the ‘world power’ of 1 Direction and the new British boy band wave (explosion) they have created and that XF are riding high on. BTW, JLS before them bounced well from b2 to second place and have also been a success story ever since (close to a win though). Until last year also, all girlbands were no hoper’s too. Even though not b2, LM won outright against all odds and have also had 2 consecutive No1 singles (and no doubt the new album will be there too). Who’d have thought eh? This is where the money is and XF are now actually driving that bandwagon by owning the whole shebang band market. b2 records won’t stop them either if they want to pimp UJ from now on upto the finish line (and to still reign supreme in that market). XF have carefully tested this music market in every case here and are therefore experts now in manipulating gullible teens, as that is where the multiple voters are too. Its all careful engineering at the end of the day. LM stormed it last year with a landslide of votes. I have said this before, but take the trouble to actually read the comments from YouTube vids from daft young kids for clues and how they will vote vote vote to get their heroes to the top. Little old ladies for cute Jahmene, over 30’s for Shakey, or Adele fans for Ella won’t do that. Urban fans also won’t vote in multiples for James either (they are too cool). Watch what happens from now, XF won’t be letting UJ slip through their fingers with all that they have invested them and the huge fanbase (£’s) they are starting to build up. Please forget that this is ever actually a real talent competition (we have learned that here), it is just a powerful manipulative vehicle to find the gullible salesman’s dream (and to sell them a product that THEY vote en masse to buy during and hopefully long after the show). first of all little mix did not win by a land slide, marcus caught them up on the final sunday, and i think the only reason he didnt win the final was because he was given the attrocious song choice ‘hey ya’ on the saturday night, and then royally stitched up on the sunday night by his supposed favourite song of the series ‘higher’ which was infact the week he polled his lowest percentage of votes in the lead up to the final. Everybody knows ‘reet petite’ was by far his best performance and would have pulled him in much more votes, and to finish him off they lumbered him with whams ‘last xmas’. Even with all that he still didnt lose by very much. Little mix crawled over the line, despite the producers throwing everything including the kitchen sink behind them to win. Hi Stoney. Little Mix walked it (not crawled it) and won very comfortably, ending up with 48.3% of the two horse race votes to Marcus’s 42.8% in the final (and way above Amelia in the semi). From the the back of the field as a 66/1 rank outsider, I would say that is an amazing win. Considering the typical demographic of LMs voters, I would also say that it is a powerful concentration too (which will also be there for UJ and MORESO too because this time it is a boyband that is being carefully moulded into Westlife Mk2 for wider appeal). Regardless of song choice, Marcus wasn’t quite popular ‘enough’ anyway and has proved it by not doing anything notable since (despite having a ‘Jumbo jet’ thrown at him’), there was just no post show mileage in him. I liked him too and also had a 9/1 bet on him right from the auditions until I saw the XF plot and changed horses. I even got the early days forecast at 66/1. This is the point I am making, it is NOT a real talent competition. Technically, Janet should have won it on all the popularity tips and ‘bookies favourite’ odds. It’s all a sham and one has to try to divorce oneself from personal likes and emotional ties to these artists, (a lot of disappointed people on here lost a lot of money on Janet last year remember). Just play the chess game and work out what XF’s final goal is and where ‘their’ best investment lies, it’s as cold and hard as that. The contestants are just pawns that they manipulate and toss away in a controversial and entertaining way for viewing figures (but viewers are getting bored of that now hence XF is nearing the end). Hence too, this time the game is also more serious (on the surface) and more like ‘The Voice’ (the BBC competition that XF want to kick in the goolies) and involves professional managed acts so there is not so much silly car crash tv this year. The result is still the same though, lots of £££’s in the XF coffers. They are a hard nosed business. Don’t forget too on the plus side that UJ have really done very well considering the divided boyband vote that was available to them at the time from the increasingly fed up XF viewers. They haven’t got a big enough fanbase yet to ‘allow them’ anything but it IS growing rapidly. Note that they DID ‘allow them’ to beat D3 though. Also, there aren’t 2 x James’, 2 x Jahmenes or 2 x Ellas either for any of them to suffer the same. The UJ phenomenon is being engineered, fed and watered right now. Forget b2 twice too, (as I also inferred, the rules are out the window this year). Daniel also noted at the start here that ‘we didn’t see that coming’. None of us can really see what is coming, but we can make better educated guesses if we explore all possibilities and do our homework properly. Some glaring ones were overlooked last year. As ever though, this is all only just my opinion against many other good ones on here too. That’s why we are here to help each other to spot what is going on in XF behind their clever mask. While I agree with you, if they couldn’t get 1D over the finish line, how can they hope to get UJ there? JLS were just better and more mature/polished than either. Good info Heisenberg. Do you know who was called safe second fron last in the weeks Chris was called last? I think they weren’t killing chris off with with a direct blaze because their other act for controversy, rylan, wasn’t really working out the way they expected. They were aiding him in all possible ways and still landed in bottom, and wouldn’t be surprised if despite best efforts he was just narrowly escaping b2 each week. Plus he turned out to be quite nice, so couldn’t carry the villain’s torch and keep his name in the papers with bad gossip. So Chris wasn’t tossed down the cliff with a clear push because he did all these. But surely had he ended up in the bottom 2 he’s be gone by now. Water cooler moments anyone……….my guys and girls don’t really watch because they think there is no show anymore, Ella is home and hosed! They can’t believe shes not fav…. I called Chris to be fourth a few weeks back and still believe that will be the case. Rylan to be b2 against a favourite (probably Jahmene or Ella) this weekend and will go. Union J will bounce as they will pick up enough votes from D3 to do so, but I don’t see them going much further as the heavy pimping hasn’t worked. So: Rylan 6th, Union J 5th, Chris 4th. At the moment I see Ella 3rd, Jahmene 2nd and James leading in the race (he’s the only one who hasn’t needed any extra pimping). That could all change depending on who TPTB want to win and how things are manipulated between now and the final. When you get to the finals, Its about who’s pimped the most. Little Mix were pimped more than marcus, weeks before the finals AND in the finals. So is Jahmene this year. Looking at the past 4 series’ statistics, it’s interesting that in 3 out of 4 of those years (with the exception of 2010), there was a strong early leader who topped the vote in the first half of the series (Eoghan, Danyl, Janet), before the actual ultimate winner crystallised at around week 7/8 and slowly but gradually pulled away. Matt Cardle is the exception to this pattern. Alexandra Burke didn’t top the vote until week 8, and Joe and LM didn’t top it until week 7. Which ultimately means that we probably shouldn’t be too worried about Chris doing so well and about Ella being comparatively low-profile at the moment. Slowly but surely wins the race, and Chris isn’t Matt. Jahmene also isn’t Joe. Both of them have peaked too early. I’m not an Ella backer, I haven’t backed anyone for the win (only lays), but I think – taking a step back from the Chris leaks and the Jahmene hype – that Ella is about to reach that crystallisation point that Alexandra/Joe/LM also did around this time in their respective series. Chris and Jahmene are red herrings. With the odds as they are, I think now is probably a better time than ever to back Ella – and I’m not saying this as a fan. As more acts drop out of the competition, and as more viewers tune in as we reach the end of the series, I think Ella’s vote will pick up a lot. Theres a difference between keeping a low profile and actually staying low. Alex, Joe and LM did relatively well during the early weeks whereas leaks are showing Ella’s barely avoiding the bottom2. The key to this competition is to do constantly well, not peak unless its the right moment which is why Im split between James and Jahmene. Perhaps James could follow this pattern more so than Ella so? I agree with Stoney here. Why exactly should Ella’s vote suddenly start increasing now Eurovicious? I think people are struggling to over come initial preconceptions of her from auditions. If her performances haven’t been getting votes up to now why should they now? Her performances are too ‘samey’ for me. Better song choices? Arrangements? I’d be interested for someone to elucidate how she moves up so quickly as I’m certain they won’t be de-ramping Jahmene. Watching Xtra factor last weekend and on the subject of an Ella back-story, did anyone see that she did a snippet of an original song apparently about her Dad. The lyrics were along the lines of “my papa don’t see me no more…” I fully expect a full blown sympathy VT in the coming weeks so don’t rule her out just yet. It may be that they are saving her back story for a final push to or in the final. The original song could also be rolled out, To be honest she sounded better on those few seconds a capella than she has in the live shows so far imo. Here is that original song about Ella’s apparently absent Dad for anyone interested. Have also just remembered that her first audition song was about a deceased Grandfather. Presuming many viewers of, say, the semi final won’t have heard that song it’s quite plausible that she could sing it as the “songs to get you to the final”. Add to it a VT about her Granddad taking the place of her absent dad then having lost him at a young age. It could be very powerful. Add some Tulisa tears and a spot of table slapping for her little “cupcake” and she’s safe as houses. I’m not necessarily and Ella fan or indeed an Ella backer but nobody should rule her out yet. If Ella never topped the vote then she didn’t peak. I expect her vote to start increasing because of the voting shifts that take place in the final weeks (week 7/8), with more casual viewers joining and votes transferring from other departed contestants. This is an established phenomenon and has happened in 3 of the past 4 series, as I outlined above, though I’m by no means saying it’s certain. Plus, as Neeve says, I expect a big sympathy VT soon. Ella and James got sympathy treatment at the audition stage, but have had little since, yet have never been B2 and have both presumably been doing fine in the vote. (I’d speculate they’ve both been bobbing along at a stable average placing of 3rd/4th-ish, right from the beginning). By contrast, the other 2 acts who’ve stayed safe throughout – Chris and Jahmene – have required mega mega sympathy to do so. This suggests Ella’s and James’s vote has greater intrinsic strength – they didn’t need the pimping. The show has held back on the sympathy treatment so far because neither act needed it and because efforts were focused on pimping Jahmene. And like Neeve, I fully expect at least one original song to be rolled out again, for both of them – especially given Lucy’s absence – now that we’re approaching the crucial final stage of the series. Chris and Jahmene can’t compete on that turf with them. Again, I’m not a fan or a backer. I’m just thinking out load. And I also strongly disagree that “apart from rylan [Ella] has been the poorest since the live shows began”. She can sing, highly capably, and has done so every week. Not spectacularly, but reliably and very well. To imply that (for instance) D3, Kye, MK1 etc were better than her is just daft. And I think she is quite comparable to Alex Burke. I meant Ella has been the worst out of the remaining contestants minus rylan. I have seen it mentioned several times about ellas audition song, but jahmene stole the show on the very same audition show unless I’m mistaken? You think Shaky has been better than Ella? If you say so! This is the first series where I haven’t felt a strong emotional tie to one of the acts; last year, when I posted under the name ‘LuxLisbon’ I totally fell in love with Ms. Devlin. However, this year I’m able to take a step back and to see the wood for the trees, and feel that the competition is utterly fascinating. Jahmene is talented too, but a little weird which I think will eventually do for him. James Arthur is in the right place at exactly the right time – his style, when there seems to be such a backlash over contrived DJ led R’n’B hogwash at the moment, is de rigeur and on trend. Having said that, I’m still not a fan. I always try to listen out to who the crowd cheers the loudest for when O’Leary announces the telephone numbers. Tellingly, this week it was Union J.
I think they could just do it. Maloney? I just can’t see it, man. I don’t believe The Daily Star leaks, and I’ll always have faith in the British public finally coming to their senses. Think Jahmene will get over the line and pip Chris to the post. As I mentioned up top, Jahmene comes across as a little weird and a bit creepy – two attributes that don’t sit well with the public; which will eventually bring him down. I agree with Jake, Unfortunately, I dont think to the general public Jahemene comes accross wierd/creepy. More the loveable nice, shy guy character that mums/nans think is cute and want to mother. Unfortunately, it’s not the mums/nans vote that will get him over the line to victory. We’ll see…it’s my whole family that thinks he’s a bit weird with that odd giggle and that man-at-Next dress sense that’s far too old for him. He’s from the North, so at least he’s got one good thing going for him. This is the most likely finishing order, I would say. So we could be in for some intense controversy/hysteria when Maloney beats James to a place in the final. I’m highly suspicious to a UJ bounce, they are simply not that good and everything depends how much votes they will get from D3 fans. Needless to say UJ are the only red in my outright book and I don’t intend to change it. I was about to say myself, it’s at this stage where the amount of fans an act that exits have is still reasonably high and where their support goes is a deciding factor. Reading through the comments of the sun article mentioned at the start of this post and Chris seems to have a lot of support out there. Just looked – yeah, that speaks volumes. He’s really becoming the anti-X-Factor contestant. Thanks for the info Heisenberg – and sorry for the delayed response. I was hoping to see some other pattern emerge but didn’t work out. Although I notice Jahmene has never been called safe in either position.